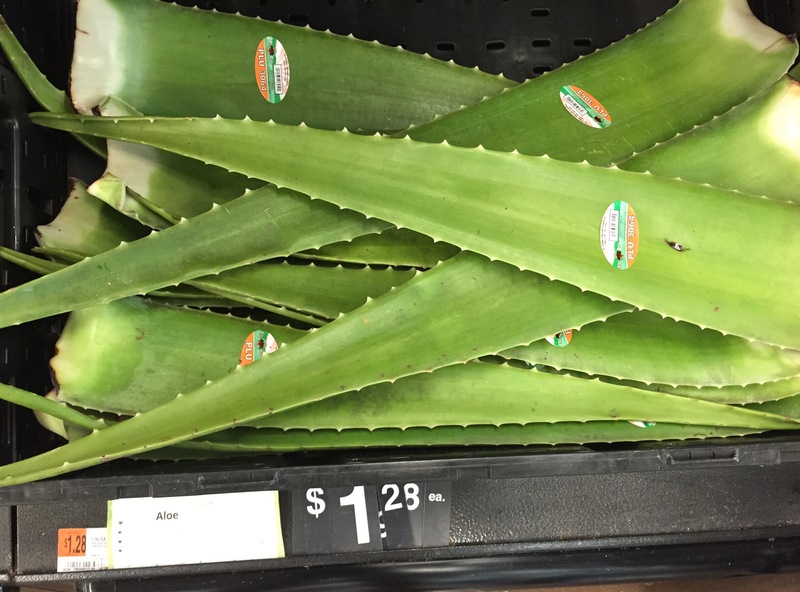 I know aloe has healing powers and even have used it myself, but I was somewhat surprised to see huge leaves of it for sale recently at a local grocery store. There it was in the produce section, between some citrus fruits, I think. Maybe it was there before, but I don’t recall seeing it. But it did get me wondering, what does one do with aloe that you need that much of it? Besides medicinal purposes, what else can you do with it? This entry was posted in Living and tagged aloe on August 9, 2015 by Julie Riebe. Aloe is a great skin moisturizer; wonderful for healing sunburns. I believe that, when ingested, helps with the GI tract and might even lower cholesterol. Aloe is so very easy to grow, but be careful! It will take over a bed.